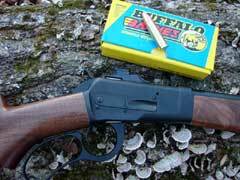 It has been almost two and one-half years since I fired and reviewed the Model 89 lever gun from Big Horn Armory. At that time, the rifle was in prototype form, but the guns are now finally in production, and I have been shooting serial number 25, to get a feel for how well the production rifles are shooting, handling, and functioning. 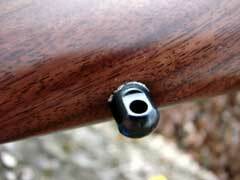 The lever gun shown here is the rifle version, that has the twenty-two inch barrel and short five-shot magazine, for a total loaded capacity of six. 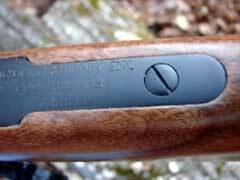 The rifle is built primarily of stainless steel and walnut, just like the carbine that I reviewed in 2010. 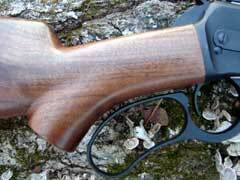 However, the stainless steel receiver and barrel of this rifle wears Big Horn’s Hunter Black finish, which is a non-glare, durable finish that looks great on this rifle. 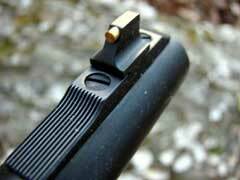 The sights are a brass bread front, and an adjustable rear aperture that rides on the bolt at the rear. 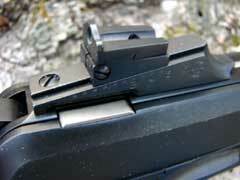 This is a very good sight combination, and works very well in most lighting conditions. 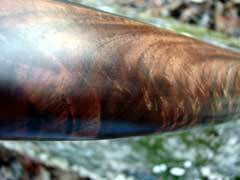 The walnut is figured very well, and fancy walnut with checkering is available for additional cost, as well as custom engraving. 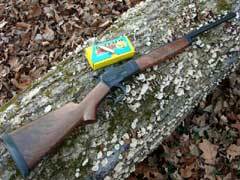 The rifle is specified to weigh in at seven pounds, fourteen ounces, but weight will vary a bit, depending upon the density of the particular wood. 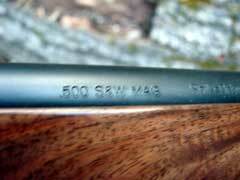 The test rifle weighted in at eight and one-quarter pounds, measuring 40.25 inches in overall length. The length-of-pull measured 13.75 inches. 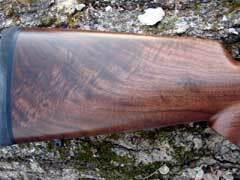 I went into detail on the construction of this Big Horn rifle in my earlier review, so won’t plow the same ground here again, but refer the reader to that review for details. 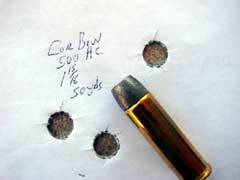 The chart below lists the velocities of the ammunition fired in this Big Horn rifle. I am including the data from the previous review for comparison, as I was curious to see if the four extra inches of barrel would add significantly to the carbine velocities. 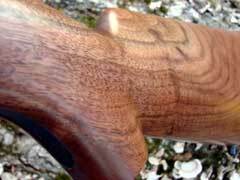 Also, I have been shooting a new load from Buffalo Bore that wasn’t available to me back when I wrote the previous review. 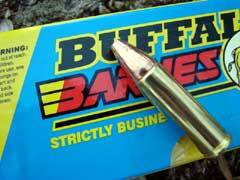 This load uses the excellent Barnes 375 grain XPB bullet, that is built for good flight characteristics and terminal performance. 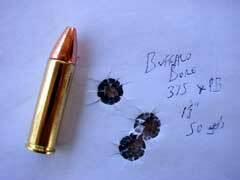 These bullets penetrate very well, and expand dramatically. Velocities were recorded at twelve feet from the muzzle, at an elevation of 541 feet above sea level, with an air temperature of thirty-five degrees Fahrenheit and humidity of seventy-two percent. Velocities are listed in feet-per-second (fps). 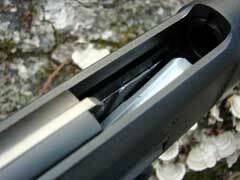 JHP is a jacketed hollow point bullet. 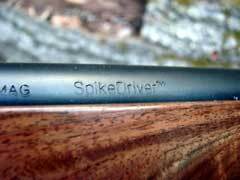 DPX is an homogenous copper hollow point bullet. 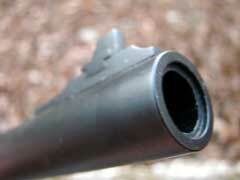 JSP is a jacketed soft point bullet. WFN is an LBT-style hard-cast lead bullet with a wide, flat meplat. 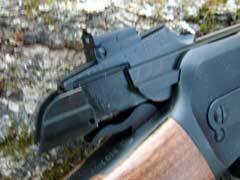 Please note that the air temperature was higher when recording the velocities of the carbine loads back in 2010, but the ammunition temperature was close to the same. XPB is the Barnes homogenous copper pointed hollowpoint. Velocity increased slightly in the longer barrel with some loads, and significantly with other loads. Accuracy was very good. 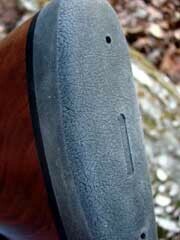 I tested for accuracy from the bench using the new Target Shooting, Inc. Model 1000 Rifle Rest with optional Recoil Pad, which allowed for a steady hold, and no pain at all to the shooter’s shoulder. Recoil is not too bad from this Big Horn rifle, as the recoil pad and stock design do a good job of absorbing the recoil, but long testing sessions at the bench can start to beat up the shooter a bit, so the Target Shooting rest was greatly appreciated, as it absorbed all of the recoil from this 500 magnum rifle. 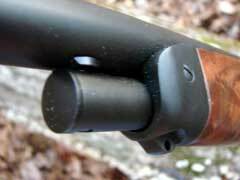 Being as I did not have the optional scope mount available to me, I bench-tested for accuracy at fifty yards, with groups measuring between one inch and two and one-half inches, depending upon the ammunition used. 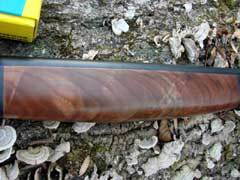 The Buffalo Bore load turned in the best accuracy. 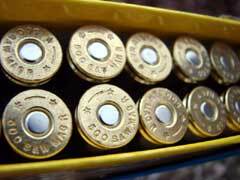 Groups pictured are representative of the ammo shown. 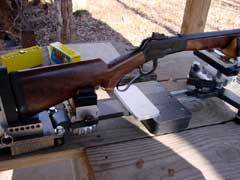 The Big Horn rifle performed flawlessly; feeding, firing, and ejecting perfectly. 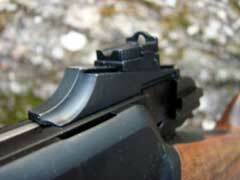 As with any Levergun, the action should be worked quickly for best performance. 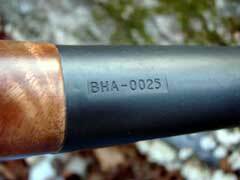 These Big Horn rifles are shipping now, and are made in the USA. They offer a lot of performance and power, and are capable of taking any game on the planet. 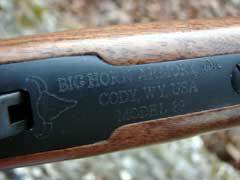 Check out the rifles and options offered by Big Horn Armory online at www.bighornarmory.com. 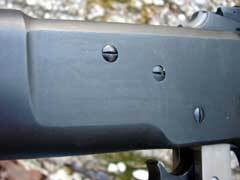 Big Horn Armory sells direct to individuals, with shipment to your favorite licensed gun dealer. 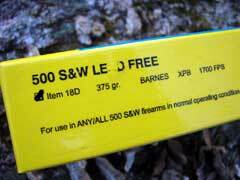 To order any of the high performance 500 S&W Magnum ammo shown here, go to www.cor-bon.com and www.buffalobore.com. 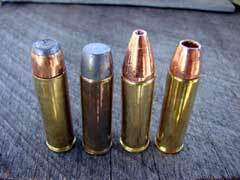 Left to right: 400-grain JSP handload, Cor-Bon 500-grain hard-cast lead, Buffalo Bore 375-grain XPB, Cor-Bon 275-grain DPX. 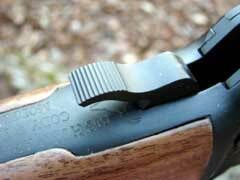 Accuracy testing using the Target Shooting, Inc. Model 1000 rifle rest with recoil pad.